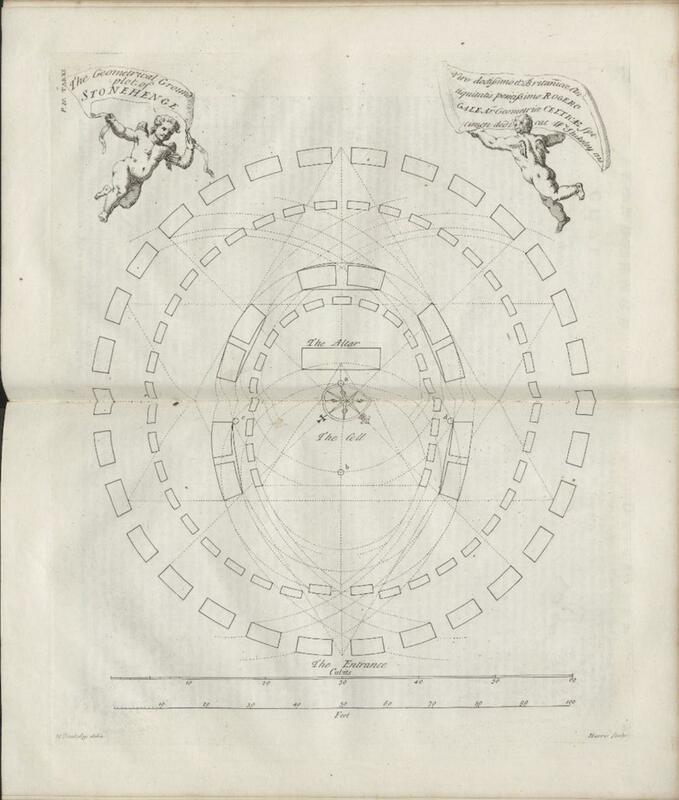 These maps and illustrations appeared in British antiquarian and vicar William Stukeley’s 1740 book, Stonehenge, A Temple Restor’d to the British Druids. Harvard’s Widener Library has recently digitized its copy of the book. You can see the whole text here. 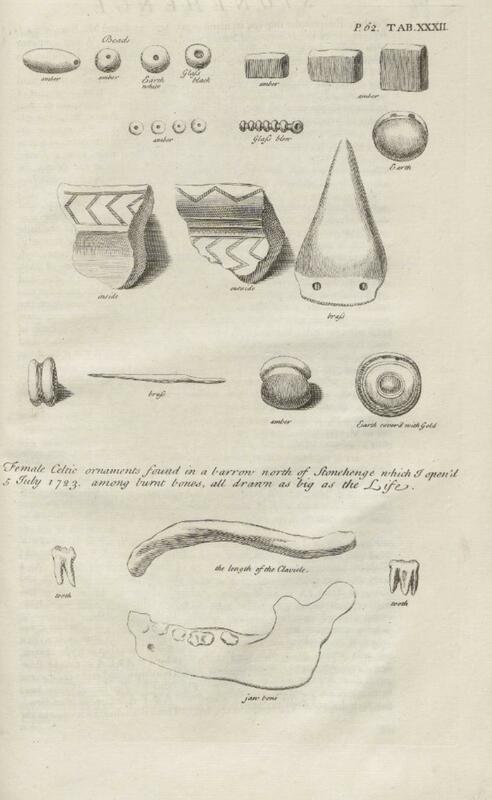 The third image below catalogs a set of “Celtic” objects that Stukeley dug up in a site near the ruins. Stukeley, along with many of his contemporaries, believed that the Druids, Celtic priests active in Britain and France during the Iron Age, built Stonehenge as part of their rituals. The careful representation of this set of artifacts, “drawn as big as the Life,” shows something of Stukeley’s fascination with Celtic culture. Although archaeologists still don’t know exactly who built the structure, the connection to the Druids that so intrigued scholars of Stukeley’s era has long been disproven; the Stonehenge stones are older, by far, than other Celtic artifacts. Click on the images below to arrive at zoomable versions. 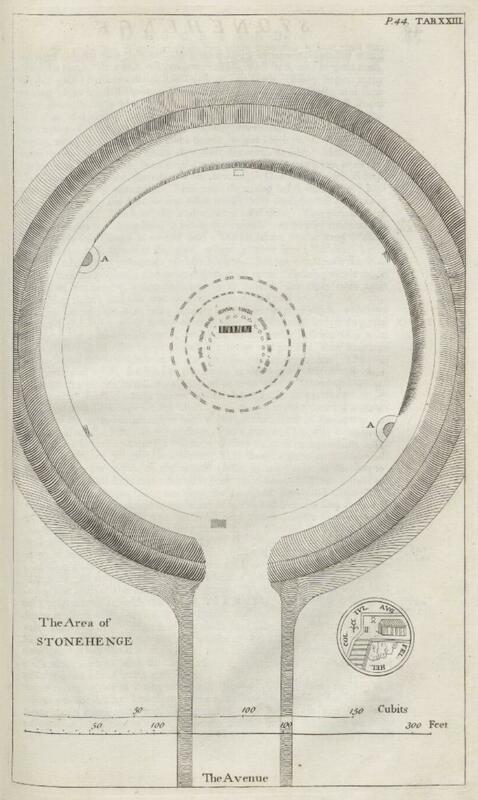 From William Stukeley, Stonehenge: A Temple Restor’d to the British Druids, 1740.